Who remembers the deafening sound from the vuvuzelas at the 2010 cup? Okay, so maybe you couldn’t hear them from halfway across the world, but we LOVE the look of them and have 4 in the set. We also couldn’t stop ourselves from making crazy colored “afro” wigs (remember, these are paper) that look just ridiculous with coordinating soccer eye glasses. 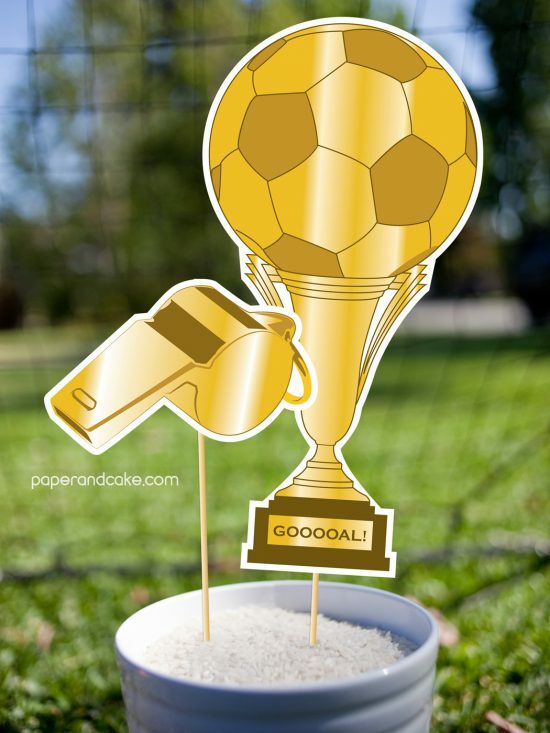 Whichever team you scream for, I think this set of printable photo booth props has you covered. 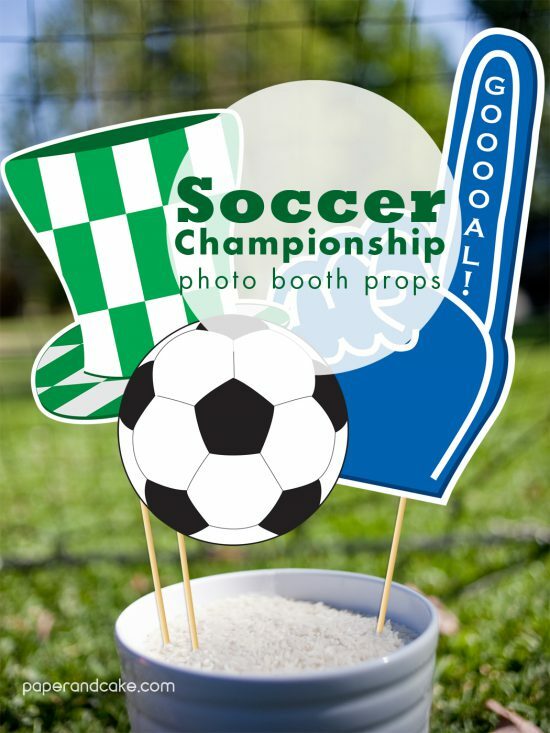 So, what do you do after you purchase these Soccer printable photo booth props? Well, get out your white 8.5×11 100lb cardstock, your hot glue gun and your kitchen skewers, and GO TO TOWN! This craft is easy, and actually fun for everyone to work on – give the kids some scissors and let them help. Maybe not with the hot glue, but you can judge that for yourself. 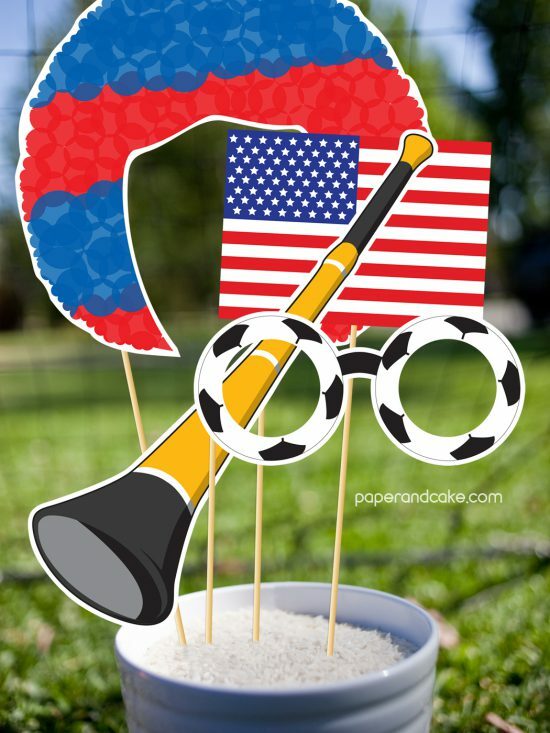 Stop by the shop and grab a set for your Soccer watching party!